The main theme of this year's SIA Expo conference in Milan was that we are moving towards a more digital world, enforced with the strapline: 'Don't worry, be digital'. Although the majority of Italian citizens believe their country lags behind the rest of Europe in digital payments, speakers were keen to explore how attitudes could be changed in the country. 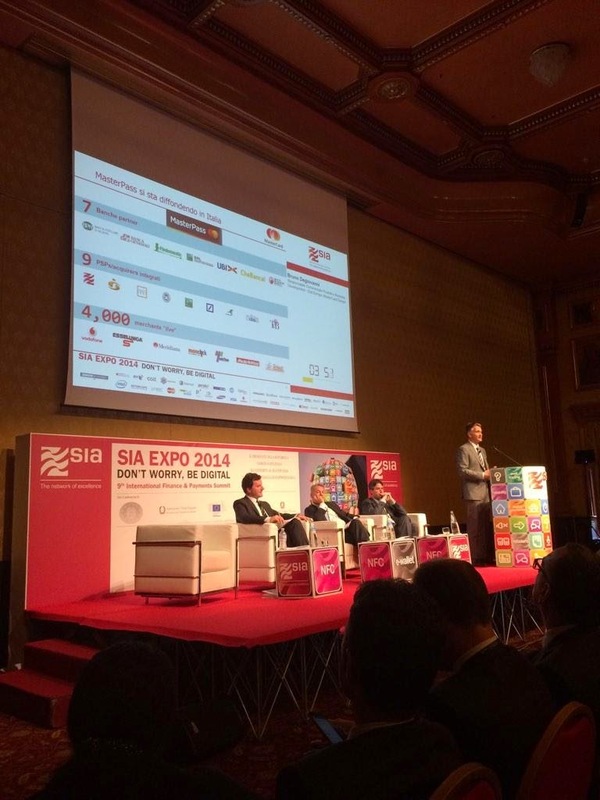 The event focused on payments, mobile technology and innovation in the financial services space and was organised by Italy-based service provider, SIA. The morning sessions highlighted that the relationship between Italians and digital money is one of distrust. Massimo Fracaro, editor at Italian newspaper Corriere della Sera, noted that 'cash is staying in use in Italy' despite the population believing that all payments will be digital in five years' time. The reason why Italians are lagging behind is due to security concerns, he said, backed up by research which showed that 65 per cent of Italians want more security in digital payments. As part of a discussion on digital transformation, Stefano Quintarelli, a member of the Italian parliament, described Italy as a 'two-speed country', with one section of the population open to new digital payment tools, and the other resistant to use such technology. He said: 'Those that use new technology are high above the European average, while those who don't use it are way behind.' He added that the latter group are in the majority and so the country continues to lag behind its European counterparts. Adding to this, Adrio Maria de Carolis, CEO of the Italian market research firm SWG, presented the findings of a survey into the cultural attitudes of Italians towards digital payments (1000 citizens took part). De Carolis noted that 72 per cent of Italians view Italy as backward compared to other European countries. He said that you could take a positive from this, in that this figure represents a tipping point. However, he said that a negative view can be taken from this also, as it suggests that 28 per cent of Italians are not aware of how far behind the country is in comparison to the rest of Europe. The survey asked which payment method people preferred, with 52 per cent responding that they prefer to use cash and 48 per cent preferring digital payments. It also asked whether people viewed themselves as heavy, medium or low users of such channels. 23 per cent were categorised as heavy users, 42 per cent as medium users and 35 per cent as low users. De Carolis then went on to focus on the differences in views between heavy and low users. For instance, 48 per cent of heavy users think digital payments are secure and 70 per cent think they are simple and easy to use. However, only 18 per cent of low users think these channels are secure, and just 35 per cent are of the opinion that they are simple and easy to use. Speaking about the results, de Carolis said education and awareness of digital payments is critical to reduce the fear of falling victim to fraud, losing control of spending and the mistrust of these channels. He closed the presentation by saying that the Italian financial services industry needs to offer solutions that make digital payments easier and more accessible to the whole community, to bring the country up to speed with the rest of Europe. The industry needs to carry out a 'systematic marketing campaign' in an effort to change the viewpoint of customers and service providers to wash away the fear and apprehension of using new technology. 'We have to focus on simplicity and put the user at the centre of our viewpoint and planning,' he stated. Telecom providers were also called on to help promote digital payments in Italy. The CEO of Vodafone Italia, Aldo Bisio, commented that although the use of digital payments is falling behind, Italy is advanced in terms of the uptake of smartphones. He pointed to research that found that smartphone penetration in Italy currently stands close to 70 per cent, putting it ahead of some other European countries. Adding to this, he cited that on average Italians spend two hours per day using their mobile internet, compared to 1.6 hours in Germany and 1.4 hours in Spain. Because of this high usage and the fact that there is already infrastructure in place, Bisio believes 'there is a great opportunity' for digital payments to pick up in Italy. SIA itself is trying to take advantage of this with the launch of its new person-to-person (P2P) payments solution called Jiffy (to find out more click here). Victor Massiah, CEO at UBI Banca warned that if banks and providers are unable to promote channels and find alternative ways to connect with their customers, they are at risk of going out of business. He said that in 20 years' time those players that haven't adapted to the new digital world and the priorities of the younger generation will no longer be around. 'The branch network is reducing by around 15 per cent per year, with internet and mobile transactions increasing. The only way we can handle this situation is to accept that there must be a significant break with the past,' he concluded.